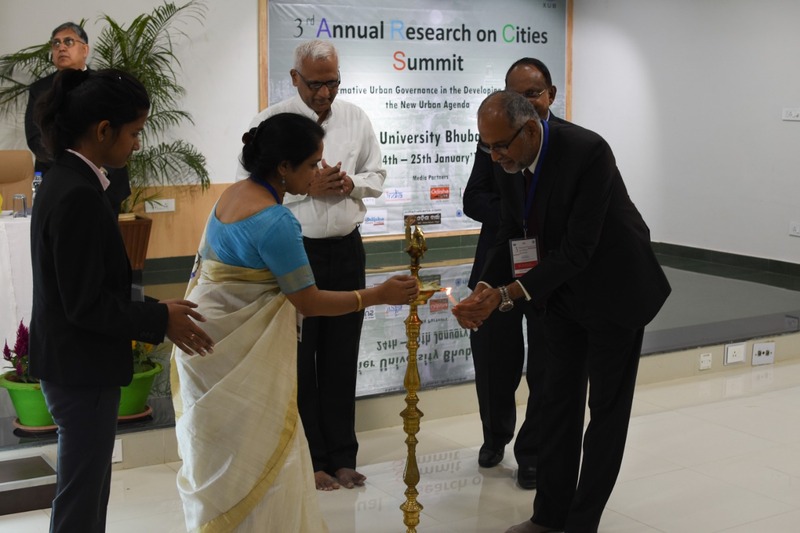 Xavier Centre for Urban Management and Governance (XUMG), Xavier University Bhubaneswar (XUB) conducted its third Annual Research on Cities Summit with Knowledge Partner ‘UN Habitat’ at the Xavier City campus, on January 24th and 25th, 2019. 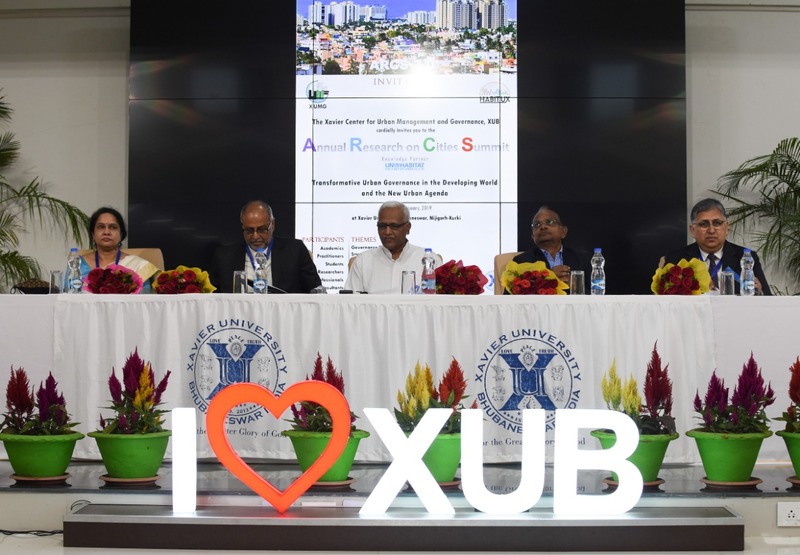 The Xavier Center for Urban Management and Governance (XUMG) was established in Xavier University Bhubaneswar (XUB) to build knowledge and professional capabilities for development of sustainable, just and livable cities. The Center, being first of its kind in India, offers a value-based two year Master’s program (MBA) in specializations which include economic development & livelihood, housing, water and waste management and mobility with a comprehensive understanding of urbanization as well as the full range of functional management and organizational skills. It comprises of a distinguished Strategic Academic Advisory Board (SAAB) to guide and inspire the Center. 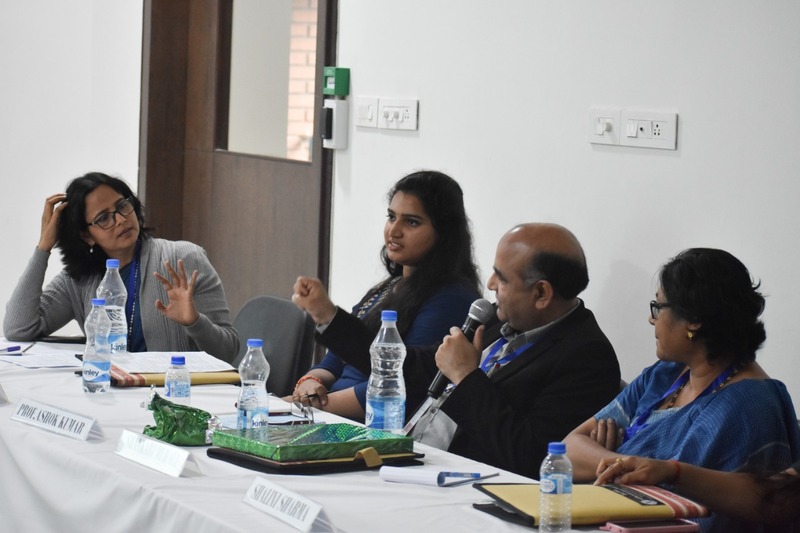 The SAAB members includes leaders from Industry, Academic Institutions like School of Planning and Architecture Delhi and CEPT Ahemdabad, Civil Society, Government and Research institutions, UN agencies like UN Habitat, and International Monitoring and Reporting Agency. 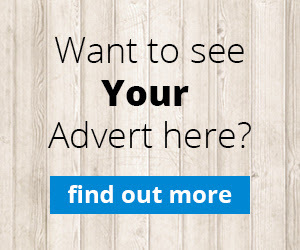 Policy engagement, technical support and advisory efforts with government, corporate and civil society organizations aim to strengthen knowledge-based governance, planning and management of human settlements. Xavier University Bhubaneswar hosted Quora World Meetup at its campus on June 24th Nice to see various Social Impact Drives by Xavier University Bhubaneswar Xamboree : Xavier University, Bhubaneswar (XUB) kick-started its first annual cultural-management fest Xavier School of Rural Management hosted its annual Rural Living and Learning Experience Mela at the Xavier City campus.